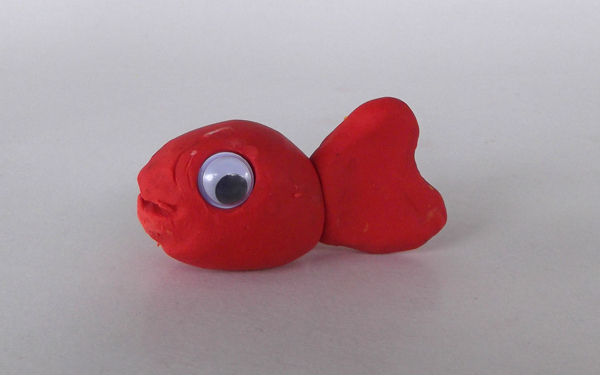 Fishes are creatures that live in the water. Their bodies have wonderful, shiny colors and shapes. 1. 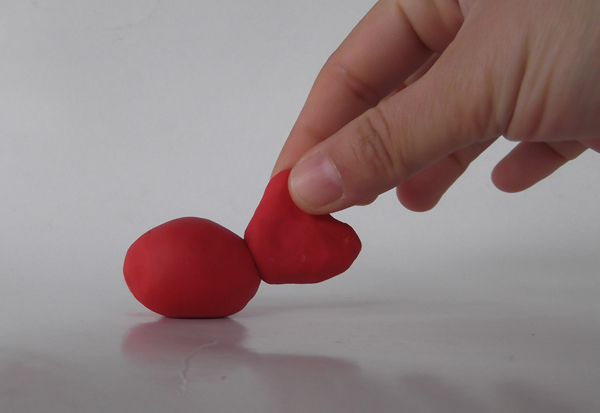 Roll out some dough or plasticine to make a flatten sphere, something like a baseball. 2. 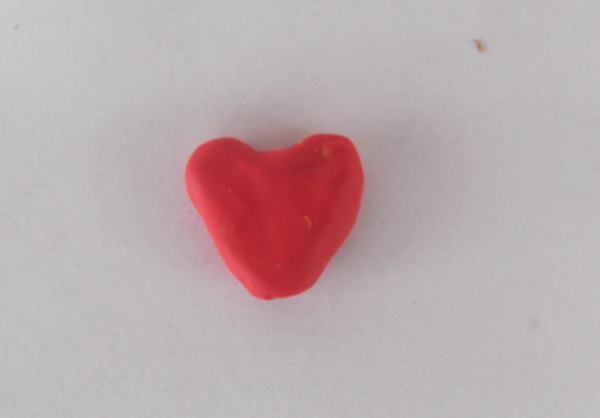 Take another piece of dough and make with your hands a small heart. 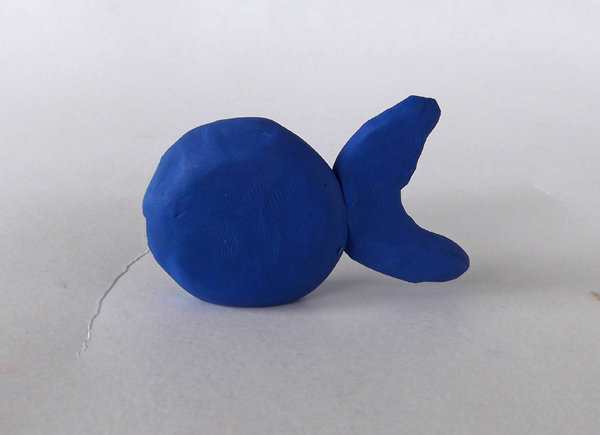 This will be the fan tail of the fish. 3. 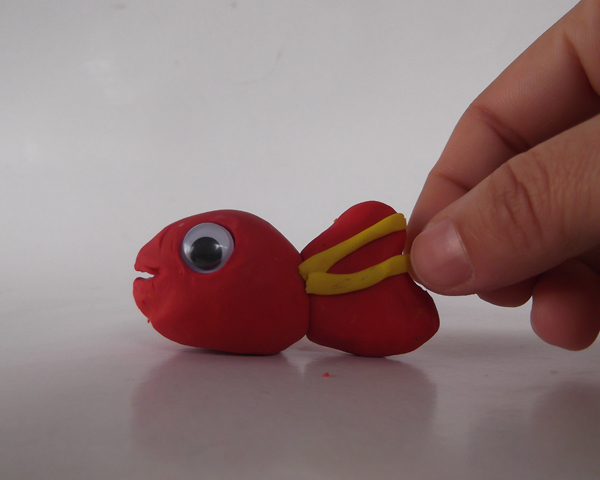 Join the tail with the main body. Press slightly. 4. 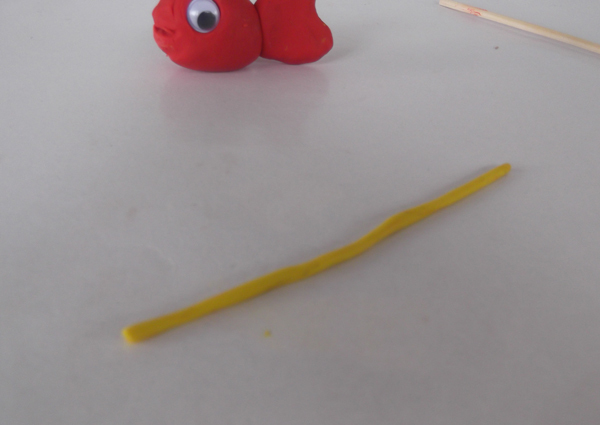 With a wood stick or a tooth pick shape a simple mouth opening. 5. Add the eyes. 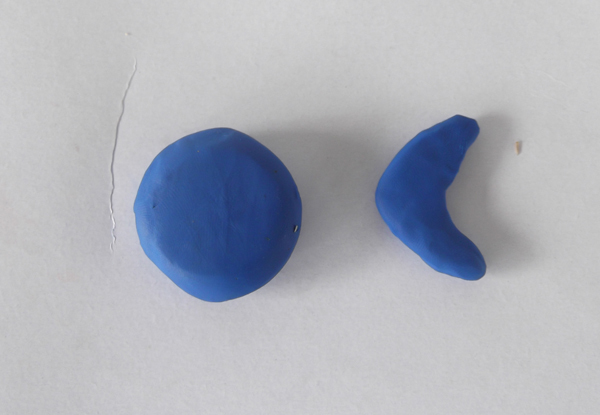 You can use ready-made plastic eyes, which you can find in any craft shop or make you own with dough. 6. Roll a thin rope of yellow clay. 7. 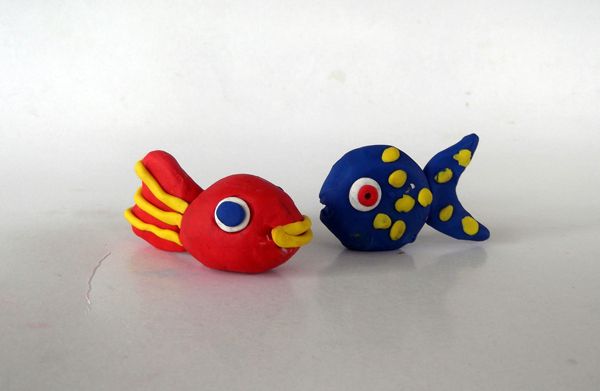 Decorate the tail with yellow clay. 8. 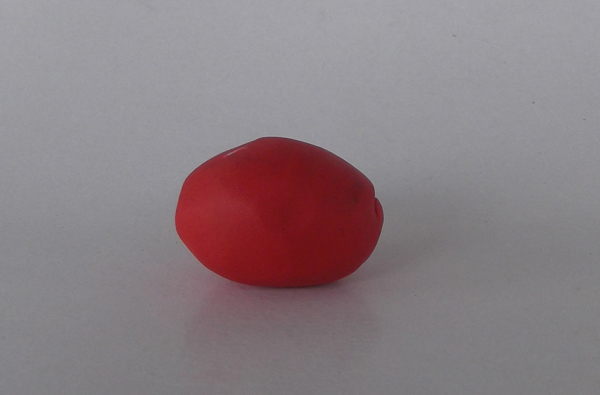 Shape with yellow clay the lips. The fish is ready but it feels lonely. 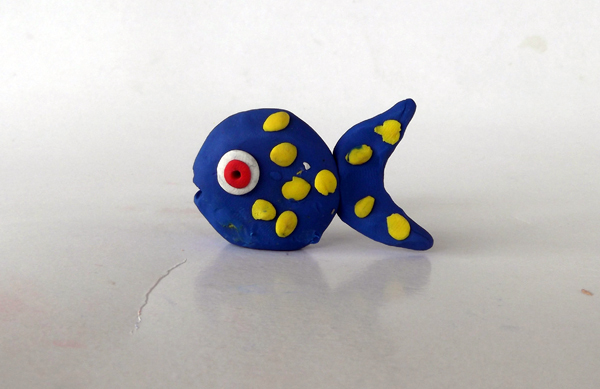 So please make one more fish. 9. 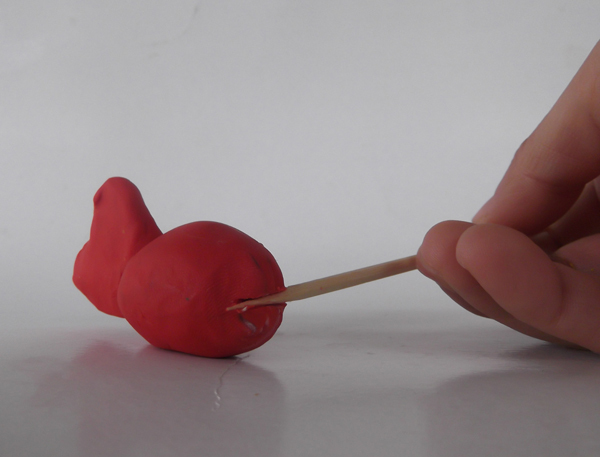 Take a piece of clay and model with your hand a flatten sphere (a disc) and a tail. 10. Join the body and the tail together. 11. 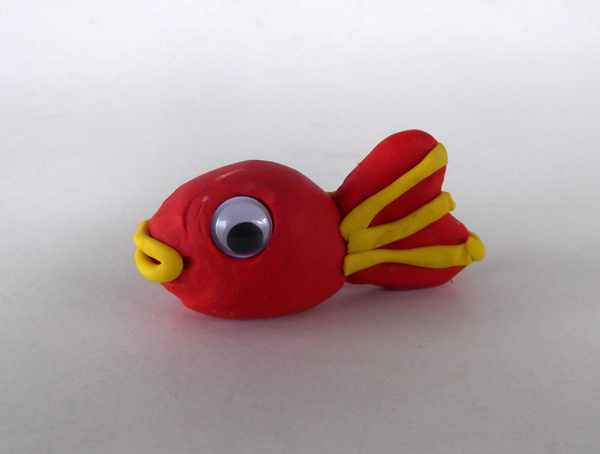 Add the eyes and some decoration to make a unique polka dot fish. 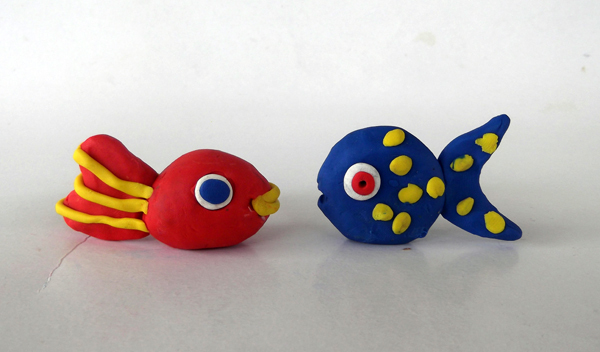 Of course you can make more fishes and experiment with the shape of ther bodies. Remember practice makes perfect- so persevere and you will be rewarded.